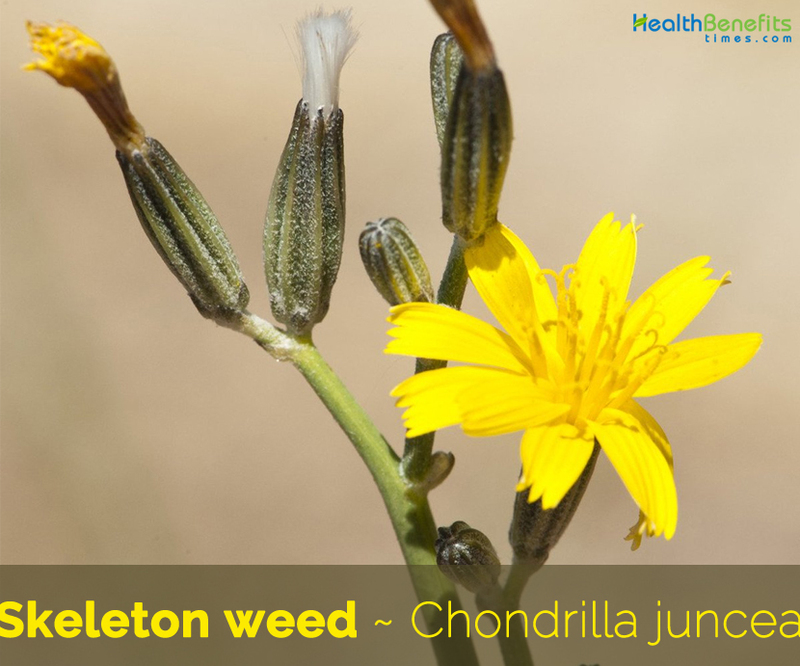 Chondrilla juncea is a species of flowering plant in the sunflower (Asteraceae) known by a number of common names, including Dandelion, Skeleton Weed, Chondrilla, Gum succor, Hogbite, Naked weed, Rush skeleton-weed, Skeleton-weed, Gum succory, Devil’s-Grass, Ajenjera, Ajinjera, Balaguera, Baleo, Citnik, Karavuk, Su porru, Tavka and succory. The plant is native to Western Europe, North Africa and central Asia. It is invasive in Australia, Argentina, Canada, New Zealand, South Africa and a number of states in the USA. It is known throughout most temperate regions of the world as an introduced species which is usually considered a noxious weed. Rush skeleton weed is a wiry-looking perennial that was introduced from Eurasia. Skeleton weed is a long-lived, deep-rooted, herbaceous, thin, spindly, glaucous, rosette herb, perennial or biennial that grows about 16 to 60 inches (40-150 cm) tall. The plant is found growing in wasteland, in fallow, abandoned fields, along disturbed roadsides and eroded ground, croplands, semi-arid pastures, rangelands, irrigated grain fields and residential properties. The plant prefers coarse-textured, well-drained soils such as sand dunes and granite outcrops but can be found on a wide range of soil types except heavy clay soils. 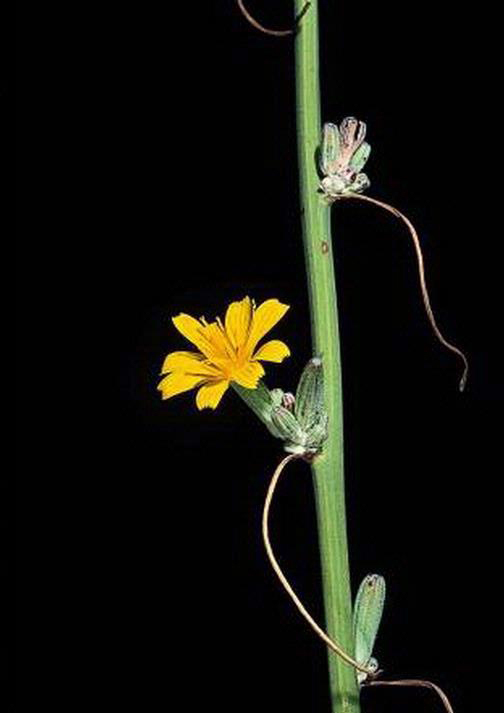 Rush skeleton weed has a slender taproot, deep, persistent, with short lateral branches along the length. Taproots become somewhat woody with age and can penetrate soil to depths of 2-3 m or more. 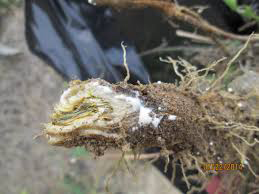 Most lateral roots are short-lived, non-woody, and less than 8 cm long, but a few lateral roots near the surface can become rhizome-like and grow laterally for 15-20 cm before turning downwards. Adventitious buds near the top of the taproot and on major lateral roots can produce new rosettes. Roots are easily fragmented, with pieces as small as 1-2 cm producing new rosettes from depths to 1 m. Stem is erect, ribbed, sub-terete or angular, scabridulous, hispid or toward the apex glabrous, strongly branched. Branches are ascending. Rush skeleton weed forms a rosette of prostrate, glabrous leaves 1.6 to 24.7 inches (4-12 centimeters) long, 0.6 to 1.8 inches (1.5 to 4.5 centimeters) wide, and oblanceolate in shape. 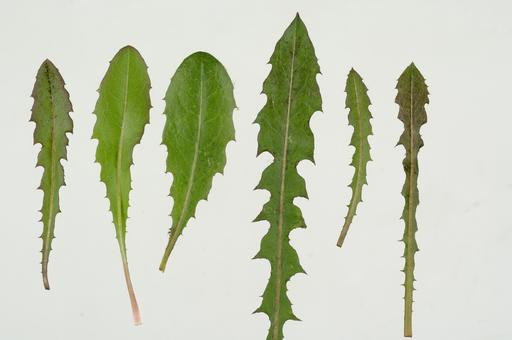 The leaf margins are deeply and irregularly toothed with lobes pointing backward toward the leaf base similar to the rosette leaves of dandelion. The leaf base narrows to a short, winged petiole. Basal leaves are well developed, 2 to 5 inches (4-13 cm) long and 0.6 to 1.8 inches (15-45 mm) wide, forming a rosette that is often deciduous at flowering. 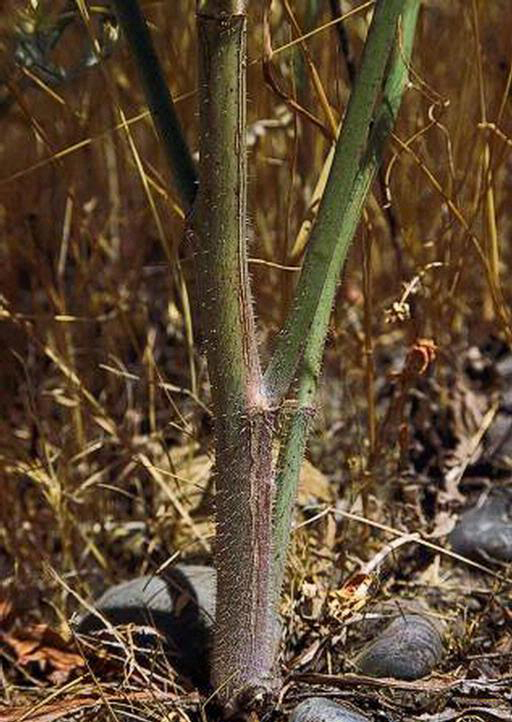 Stem leaves are lacking in some plants and when present are reduced, linear, 0.8 to 4 inches (2-10 cm) long and 0.04 to 0.3 inches (1-8 mm) wide. Stem leaves are also often deciduous, and upper leaves are often reduced to scale-like bracts. Flowers are bright yellow and daisy-like with 9–12 ‘petals’. Individual flower heads are about 20mm wide. Flowers appear on short stalks, in the angle between the plant stem or branch and a leaf or bract. They may occur singly or in clusters of two to five flowers. Flowers are found along the full length of the branches and at the tip of the main stem, appearing from July to September. 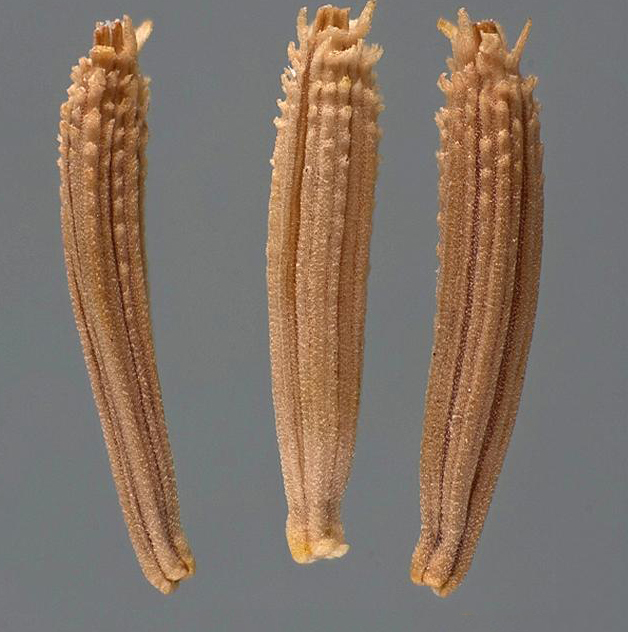 Fertile fruits are followed by achene oblong, tapered at both ends, lacking hairs, pale to dark brown, and 3-4 mm long, with many lengthwise ribs, pointed tubercles near the top, and to 6 small scales at the apex, surrounding the point of beak attachment. Beak is slender, 5-6 mm long, not including the pappus which consists of many equal, fine, white hairs about 5 mm long. 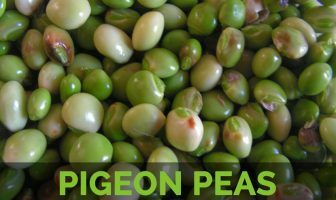 Seeds are fragile and susceptible to mould and bacteria (causing desiccation in unfavorable weather conditions), and predation by insects and birds. If adequate summer rainfall occurs, seeds germinate quickly, but usually die if there are no follow up rainfall events. If no rain falls during summer and the seed remains viable and survives predation, it will germinate in the following autumn or winter. Seeds rarely survive more than 12 months under field conditions, so there is no long-term seed bank. According to Picchi and Pieroni (2005), its human consumption was described together with the lettuce by Galeno (second century AD). These authors also mentioned that Mattioli, a famous Italian doctor of the sixteenth century, remarked that farmers from Tuscany were fond of this delight for the palate. However, Clusius (1576), the coetaneous Flemish botanist who traveled through Spain and Portugal, only mentioned its use for making brooms and a kind of glue for trapping goldfinches and other small birds in Salamanca. The plant can be used as a stomachic. Extracts of the aerial parts of the plant is beneficial for hyper-uricaemia and gout. In the Iberian Peninsula traditionally a liniment is prepared from the roots boiled in olive oil and applied to wounds and fractures of animals, attributing it antiseptic properties. This species has been considered a medicinal food that lowers blood pressure, helps cure insomnia, purifies the blood, and is good against vitamin deficiency. Roots, boiled and macerated in olive oil, have been employed as an antiseptic to heal wounds in humans and animals. Root latex has also been used to cure hand wounds and warts. Pleasant mild taste, the leaves are a favored wild salad in France. Leaves and the tender shoots of Greek varieties of C. juncea are eaten raw in salads or boiled by locals on the island of Crete. Plant is traditionally consumed by ethnic Albanians in southern Italy. 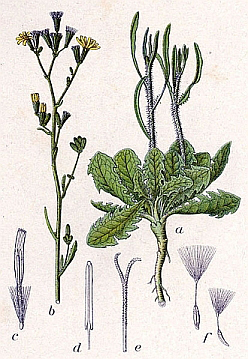 It is very appreciated in some regions, such as Marche, in central Italy, where its collection is object of a real cult, being included in mesticanza, a salad with a mix of several species or in a salad with sliced roots of Campanula rapunculus L.
Spring salads of the long and subterranean sprouts were typically consumed in the past, dressed with salt, vinegar, and olive oil in Spain. In opinion of the informants, these sprouts were delicious, very tender, juicy, and non-bitter, especially if gathered in sandy and removed soils because they are longer and tenderer. Basal leaves of Chondrilla juncea have also been consumed cooked, either boiled and then seasoned with olive oil and lemon, or sautéed with garlic and olive oil, in vegetable soups, pastries, or included in mixed wild vegetable recipes. Tender flowering shoots were consumed cooked in the south of Italy, included in omelets, or simply boiled and seasoned with olive oil and lemon. In Spain they were only eaten raw. Latex of the plant has been used as chewing gum for children. It is even used to curdle milk and make cheese. Leaves, stems and roots exude milky latex when damaged. It is also a source of nectar for honey bees. 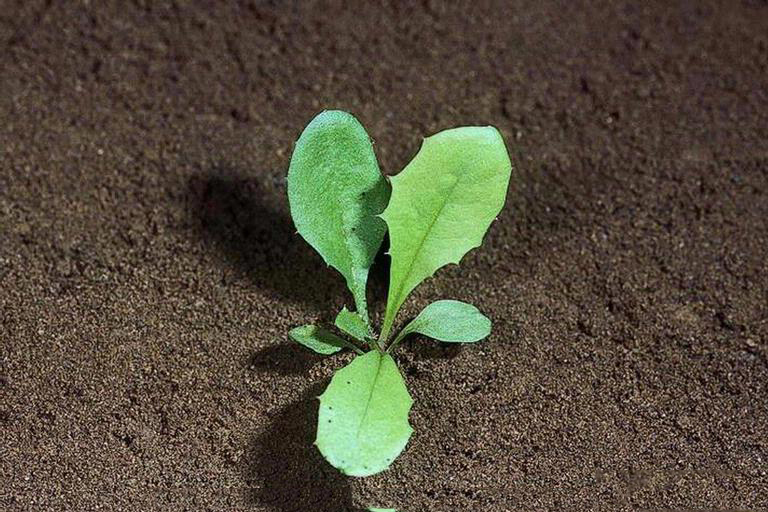 Plant can produce up to 20,000 seeds. It is a non-native, invasive terrestrial forb listed as noxious, prohibited, or banned in nine western states. An extract from the aerial parts of the plant is applied as an insecticide to combat the plague of the false flour weevil that affects stoied products. Root latex has also been utilized in many Spanish regions to prepare liga, a kind of glue used for trapping birds. This species is also eaten by livestock or even collected to feed them, being very appreciated by sheep and goats, donkeys, rabbits, hens, and pigs. Plants, after flowering, were commonly used to make home-made brooms in rural areas, at least in central Spain and Portugal. These big and hard brooms without stick were used to sweep the road, the stable, and the threshing floor. Hand pulling or digging are realistically limited to small, new infestations. 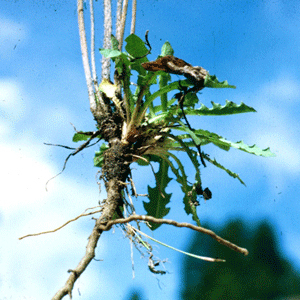 For maximum effectiveness, landowners should pull or dig rush skeleton weed before seed set and when the soil is sufficiently moist to reduce breakage and allow for removal of as much of the root system as possible; bag all plant parts and remove them from the site; and routinely monitor the site over the long term (3–8 years) to contend with any regrowth. Herbicides are most effective on young plants (less than 5 years of age), on relatively small infestations, and when combined with other control methods. Herbicidal control is generally neither feasible nor economical on vast infestations and on remote or rough rangeland. Most herbicides perform best when applied to rosettes in spring and fall. Moderate but continuous grazing of sheep and goats will result in more selective “mowing” of rush skeleton weed than a machine; however, if overgrazing is allowed to occur, desirable plant species can lose their competitive edge. While sheep are the hardiest grazers of rush skeleton weed, goats alone feed on the plants once they become woody. Cattle can be used to graze young rush skeleton weed plants, although they generally select grasses over forbs. Livestock should not be allowed to graze infested areas during flowering and seed set. Because rush skeleton weed quickly recovers once livestock grazing ceases, another form of control should be used to pick up where grazing leaves off. Mowing, biological control agents, or fall application of herbicides will augment the effects of grazing. Biological control agents are selected natural enemies of rush skeleton weed that have been tested and approved for use. They are best suited for containment and reduction in areas where other control measures are impractical or would be too expensive. 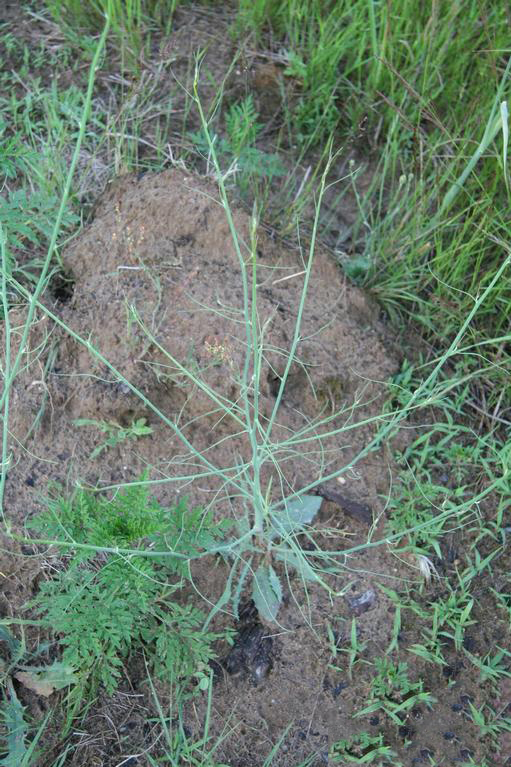 Biological control agents can help reduce the spread and density of established rush skeleton weed populations by weakening and suppressing the plants. 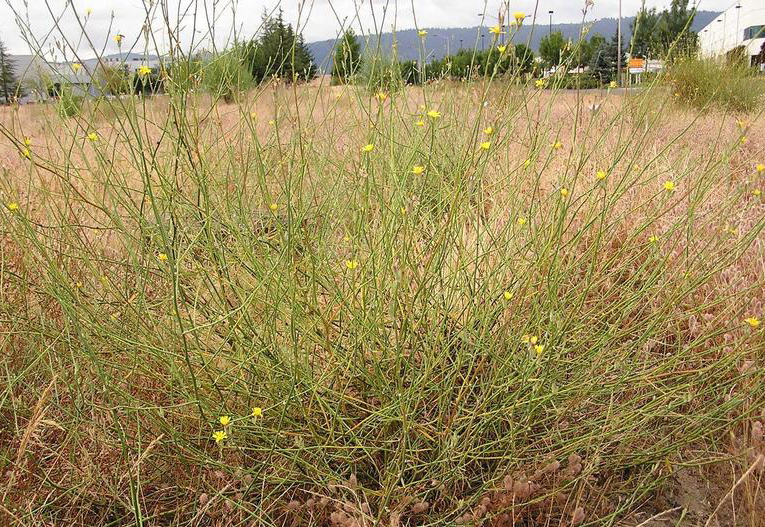 Four biological control agents have been released to manage rush skeleton weed in the United States; their performance is somewhat dependent on local conditions (particularly climate) and plant biotype. The seeds are said to be poisonous. Chondrilla acanthophylla Borckh. ex Rchb. Chondrilla juncea subsp. acantholepis (Boiss.) Takht. Chondrilla juncea subsp. 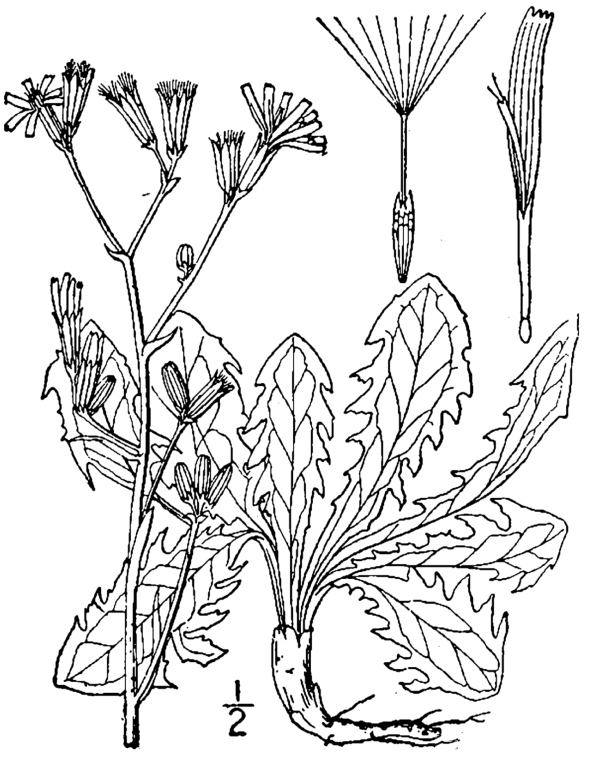 acanthophylla (Borkh.) Arcang. Chondrilla juncea var. acantholepis (Boiss.) Boiss. Chondrilla juncea var. acanthophylla (Borkh.) DC. Chondrilla juncea var. glabra Kitt. Chondrilla juncea var. nuda Peterm. Chondrilla juncea var. rigens (Rchb.) DC. 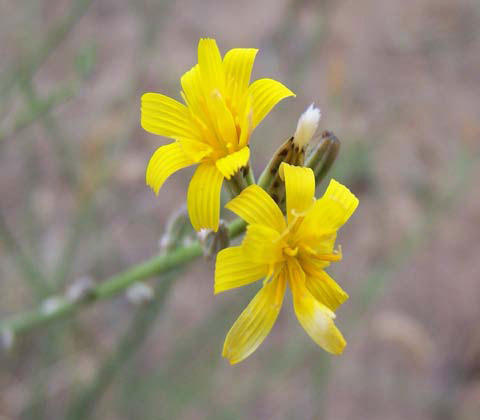 Chondrilla juncea var. vulgaris Schmalh. Calories 44 K cal. Calories from Fat 7.2 K cal.